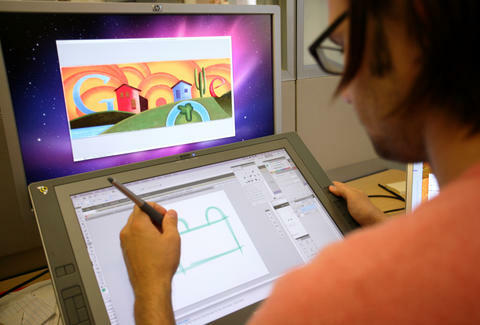 Want To Get Paid To Create Google Doodles? They're Hiring. Although the internet can be a pretty terrible place a lot of the time, there has long been one delightful corner of the web worth visiting on a regular basis: the Google homepage. Not to search for something, but rather to check if it's adorned with a Google Doodle, those artful and occasionally addictively interactive riffs on the company's logo that are used to mark some special occasion or anniversary. And now, you could get paid to help dream them up, because the tech giant is currently looking to hire a new member of the Google Doodles team. The official position Google is hiring for is International Junior Doodle Artist, and it sounds pretty damn spectacular. But, before you polish off your resume and start drafting a cover letter, it's a good idea to know just what you'll be getting yourself into. Specifically, you'd be helping assist the team on Doodles for Google users outside the US. That means they're looking for someone with "cultural experience" in a non-US region (ideally the Middle East, South Asia, or Southeast Asia) to pitch knockout ideas, then help illustrate, design, and animate them. In terms of qualifications, it shouldn't come as a shock that they're looking for someone with the creative knack and technical skills necessary to turn out top-notch Doodles on the regular, so if "doodling" is just something you do while on boring conference calls, you may not be a great fit. There's no mention of salary in the listing, but according to Glassdoor the base salary for graphic designers at Google is roughly $94,000, so it stands to reason that the winning candidate will be raking in some pretty good dough. Though that does seems appropriate, because the job seems like it can be pretty stressful, especially when it comes to the recurring hard deadlines. All in all, it sounds like a one hell of a fun gig, and who knows, you could be the brains behind the Doodler's next big hit, like this elaborate interactive homage to hip hop that hit the homepage earlier this summer.